Whiplash refers to a soft-tissue injury of the cervical spine, or neck, caused by a strong, abrupt, back-and- forth movement of the head, typically caused by an automobile accident, although this type of injury can also be the result of a sports accident or other trauma. Several studies suggest that up to 43% of individuals generally suffer from long-term symptoms following a whiplash injury. 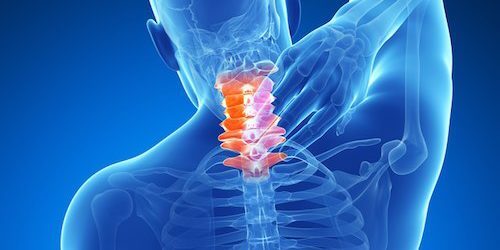 The signs and symptoms for whiplash usually develop within 24 hours of the injury and they most commonly include neck pain and stiffness, headaches, as well as, tenderness and pain in the shoulders, upper back, or arms, and tingling or numbness on the arms. Further studies also suggest that of those individuals whom still experience symptoms after three months of the injury, almost 90% of the time, they will develop chronic whiplash symptoms. When the symptoms associated with this type of injury begin to greatly impair an individual’s physical activities or lifestyles, it’s important for these people to seek a prompt and accurate diagnosis to determine the presence of a bone fracture or other tissue damage. Although conventional treatment can be used to treat whiplash, chiropractic treatment is notably recommended to treat many automobile accident injuries and the improvement results are quite significant, according to research. The authors of a study researched the effectiveness of chiropractic treatment in 28 individuals who had been previously diagnosed with chronic whiplash pain and other symptoms. Each person had been referred to a chiropractor in between a range of 3 months to almost 4 years after their accident, with an average of 15.5 months. The individuals were assigned to one of four groups classified as: group A, no symptoms; group B, mild but irritating symptoms; group C, moderate and intrusive symptoms; and group D, severe and impairing symptoms. It’s important to note that through the initial evaluation, 27 of the 28 individuals with chronic whiplash symptoms were placed in groups C or D.
After following the appropriate chiropractic treatment, 26 of the affected individuals, in other words, 93% of the people with chronic whiplash symptoms, had improved considerably: 16 individuals had improved by one symptom group while 10 individuals had improved by two symptom groups. Chiropractic care is focused on re-aligning any spinal complication that could be causing pain and other symptoms. For whiplash, a chiropractor often uses spinal adjustments and manual manipulations to correct cervical spine misalignments in order to minimize the stress and tension on the surrounding neck muscles. Chiropractic treatment can also include a set of stretches or exercises to continue rehabilitating whiplash symptoms.